On Monday, December 19, Audra and I met with Eva’s primary oncologist to go over her future treatment plan for leukemia. The strategy for the first phase of treatment was to overwhelm the disease and drive it into remission. God blessed the strategy with success—Eva is in remission. The strategy for the second phase of treatment is to strike the disease in a variety of ways to keep it from returning. In fact, the entire second phase of treatment is better characterized as a series of distinct therapies instead of a homogenous block of treatment. It’s like a one-two punch followed by an uppercut to knock the disease out, God-willing, for good. On Tuesday, December 20, Eva began the consolidationphase of her treatment. Consolidation began with an intravenous dose of chemotherapy (the drug is called vincristine). Eva received weekly doses of vincristine during induction, but she will receive only a single dose of vincristine during consolidation. That took place on Day 1 of consolidation. In addition to the dose of vincristine, Eva also received an intrathecal (in the spine) dose of methotrexate on December 20. She will receive the same dosage for three consecutive weeks—December 20, December 27 (today), and January 3. The intrathecal procedures require general anesthesia, or the “sleeping medicine” as Eva calls it. This means an early start to the day (check-in is at 8:00am and we have a long morning commute) as well as no breakfast except jello. Eva and I bring of our favorite activities to the clinic to pass the time until roughly 11:00am when procedures begin in the clinic. Following each procedure Eva must lie on her back for 60 minutes. After she wakes she breaks her fast with a snack pack the clinic provides (things like cookies and crackers) while she watches a movie on my iPad. After the 60 minute waiting period we are discharged and free to go home. Since we miss lunch our tradition is to grab In-N-Out Burger on the way home. Eva’s tradition is a cheeseburger with “salad” (that’s lettuce) and extra pickles. Pink lemonade is her beverage of choice. The final component of consolidation is a daily, oral chemotherapy drug called mercaptopurine. Eva takes this drug on an empty stomach right before bed. The administration of this drug includes some additional logistical concerns. Eva must not have eaten for two hours prior to receiving the drug, so we must work harder to get dinner on the table earlier so that Eva can get to bed at a decent time. Otherwise we would have to wake her up later in the night to administer the drug. We are also required to exercise some additional physical precautions with the drug. I wear gloves when handling it, and Eva does not touch it with her skin. We put her pill in a disposable medicine cup and she pops the pill that way. These are over-and-above precautions for chemotherapy in pill form, but we are happy to be careful with the drug. The work she did learning to swallow pills in the hospital is paying dividends now—oral chemotherapy in liquid suspension is apparently a much bigger chore. Eva will continue to take an anti-pneumonial drug throughout her leukemia treatment. She receives those pills in the morning and evening on Saturday and Sunday. 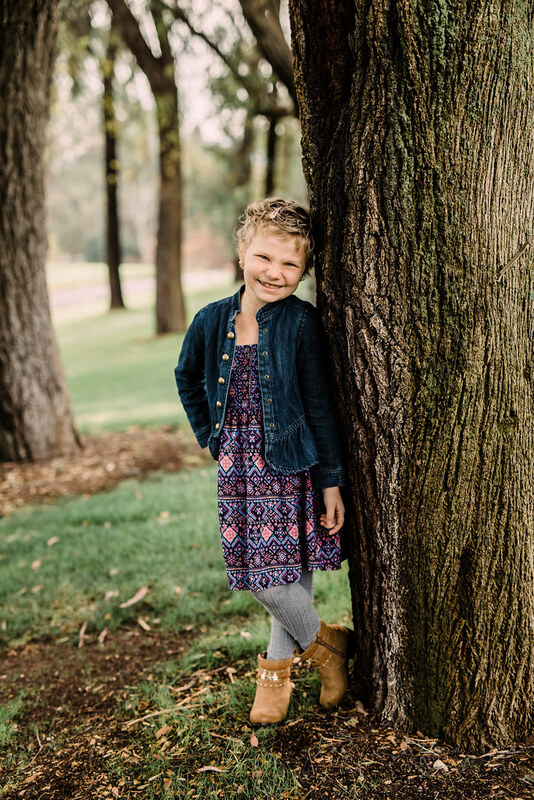 Each subsequent phase of treatment will begin after an initial blood test to determine whether Eva’s blood counts are adequate to handle the next treatment. I am unsure how much time passes between each therapy—I think it’s about a week or so. We can’t peg every day of these treatments to a calendar day until each therapy has officially commenced. We can, however, get rough estimates in terms of weeks or months. Interim maintenance I consists of an intravenous dose of vincristine once every ten days (Day 1, 11, 21, 31, 41) along with an intravenous dose of methotrexate on the same schedule—every ten days. Eva will have a single intrathecal dose of methotrexate on Day 31, thus requiring the “sleeping medicine” for the spinal tap. Delayed intensification therapy will likely be the most difficult part of the second phase of Eva’s treatment. Delayed intensification is similar to induction, just slightly less rigorous. The purpose of this delayed intensification is to catch any leukemia cells that may have been dormant during induction. The strategy is quite clever and is based on years of careful research on the characteristics of leukemia and its recurrence. Chemotherapy relies on cell division to be effective. This is why cancers such as slow-growing tumors are so difficult to treat—they don’t respond to chemotherapy very well because the cells do not divide rapidly. This is biological bad news for many cancer patients, but for acute cancers like leukemia this is good news—leukemia responds so well to chemotherapy because the cancerous cells divide rapidly. However, some of the leukemia cells in Eva’s system may have been dormant during induction, that is, they may not have been actively dividing. Dormant leukemia cells would have dodged the metaphorical bullet of chemotherapy and steroids during induction. Such cells inevitably become active again, bringing the disease back. Delayed intensification is designed to strike any such stragglers when they emerge. Eva will take steroids again, but not daily for 29 days—just for two weeks in a one-week-on/one-week-off pattern. She will receive intravenous vincristine on a weekly basis (Day 1, 8, 15) and intravenous doxorubicin on a weekly basis (Day 1, 8, 15). She’ll have a single intravenous dose of pegasparagase on Day 4. This is the dose that carries the higher risk of anaphylactic reaction. She’ll have a single intravenous dose of cyclophosphamide on Day 29. She’ll take an oral chemotherapy drug called thioguanine on Days 29–42. Intrathecal methotrexate will be administered on Day 1 and 29. Finally, she will receive two courses of daily intravenous chemotherapy called cytabarine on Days 29–32 and Days 36–39. If possible, Rady Children’s Hospital will send a home-care nurse to Fallbrook each of those days to administer the drug at our house. Eva will have her port accessed at the start of each course and it will remain in her body so that she doesn’t need a daily poke. If that sounds like a lot that’s because it is. This period of treatment will cause Eva to lose the rest of her hair. She’s likely to need a transfusion during this time. She will also be at a much higher risk for infection, so hospitalizations are always a possibility. This treatment window will also take place during the Christian seasons of Lent and Easter. Nevertheless, this delayed intensification is a vital part of Eva’s path to a cure. We are glad for the effective treatment strategy developed through work with countless other cancer patients over the last few decades. As the name implies, this phase is a repeat of interim maintenance I. See above. If everything goes according to plan, Eva will finish her second phase of treatment and begin the third—maintenance. We don’t know much about the third period of treatment except that it lasts about two years and will have minimal impact on our life compared to the first nine months of Eva’s treatment. Her hair will grow back. She’ll go back to school. We can travel again. Eva will have monthly chemotherapy, and that will be very light. The maintenance phase is another part of the strategy to keep the leukemia from ever returning. Our life’s routines will be much like they were before Eva was diagnosed with leukemia. Cancer treatment takes a long time, even the “fast” treatments like the one for leukemia, but the victory we enjoy as Christians will be delivered in an instant, in the twinkling of an eye (1 Corinthians 15:52). That doesn’t mean, though, that the victory was cheap or easy—it cost the Lord Jesus his life. Jesus is Immanuel, “God with us,” and he assumed for himself a true human nature at Christmas for our eternal good. The “Word became flesh” (John 1:14) that he might be approachable—even vulnerable to the death that plagues mankind. He took on the weakness of death that we, his fellow human beings, might receive his incorruptibility in exchange. This took place in time and space—in a manger at Bethlehem, on a cross in Jerusalem, and outside an empty tomb on Easter—but it was planned before time began. It is in this everlasting instant that we have our hope for a coming real time and physical place where all who hope in the Lord will live with the Lord “dwelling among us” forever. The up side of this intense treatment is that years have been spent studying this disease and a viable cure is entirely possible! Thank God for researchers and doctors and nurses who care enough to make this happen. Wow, this sounds like a very rigorous treatment plan. I will continue to keep Eva and all your family in my prayers as you go through all the ups and downs that go along with it. I know it is hard on everyone but your amazing faith will help you get through this. Thank you for your updates…holding you all up in prayer! Praying everything is going well for Eva. Keeping all of you in our prayers.